This bathroom is connected to the dinosaur-themed bedroom. Since the bedroom is so firmly rooted in terra firma (what with the green walls and the dino accessories), I decided to go celestial in the bathroom. I wanted an element in each room that hinted toward the theme in the other. 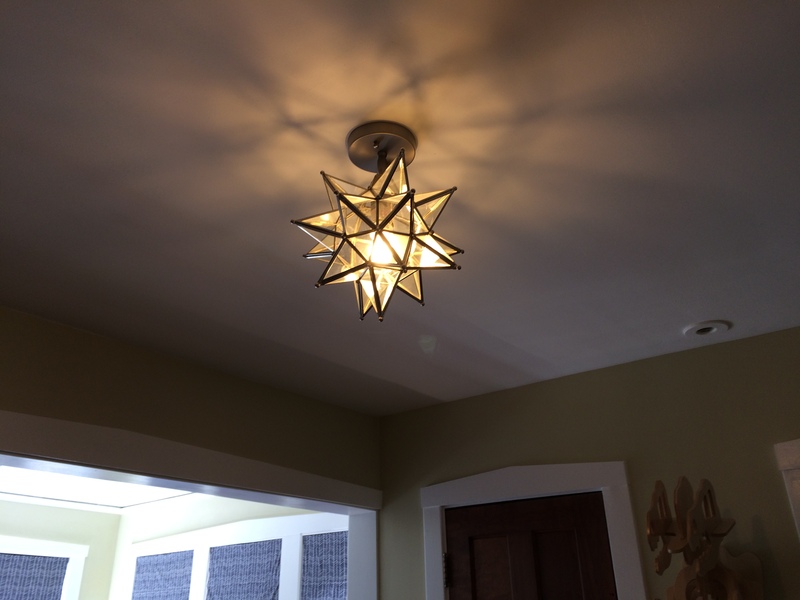 In the bedroom, I chose a star-shaped overhead light, which is one of my favorite things in the house. 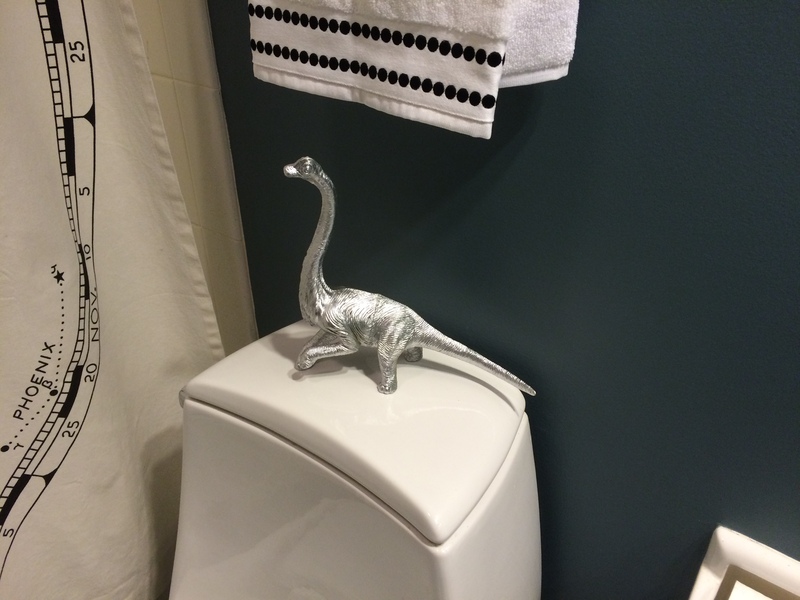 And in the bathroom, I went with a toilet dinosaur. (Yes, I’ll explain.) Here’s what you do. 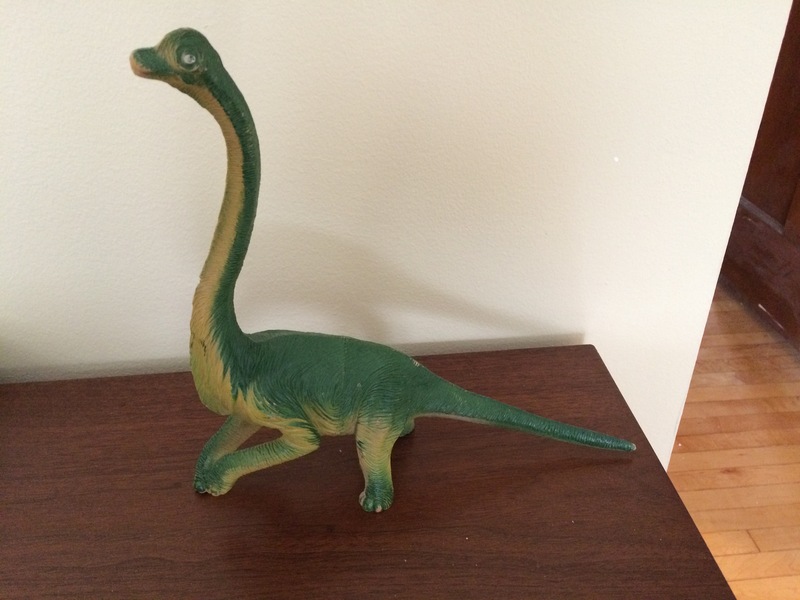 Take a standard Apatosaurus toy. Add an extra roll of toilet paper to his neck. And there you have it. 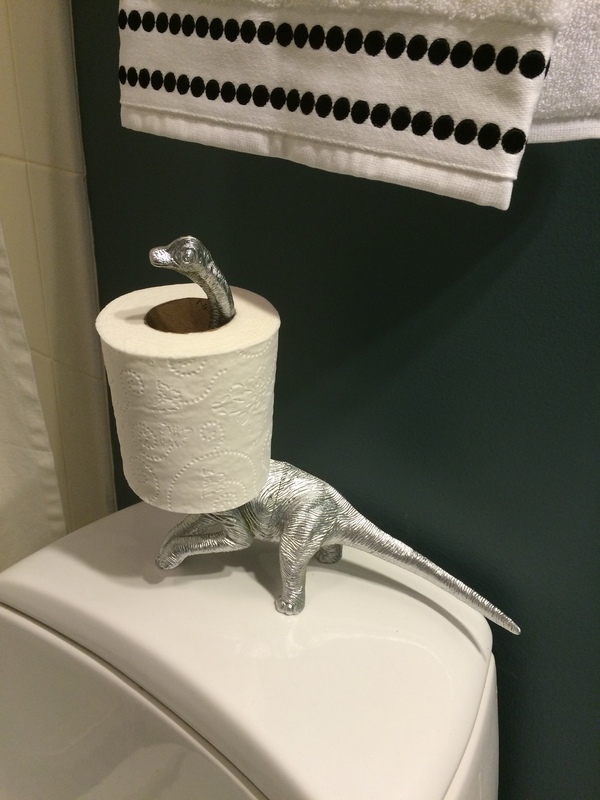 Toilet dino.